We have 3 hunts coming up in August. 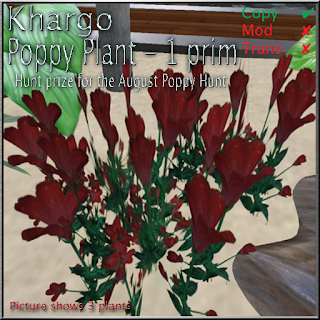 The Black Keys Hunt from the 15th to the 31st and the Poppy Hunt which kicks off on the 1st with the Summer Fun Hunt scheduled to start on the 7th. Now we have a bigger store we have more room to hide the prizes - [insert evil cackle here]! 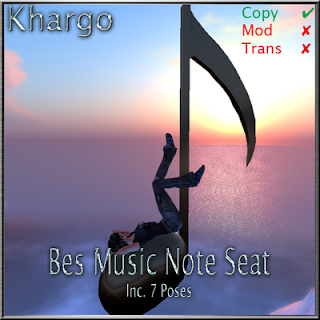 The music note is for the Black Keys Hunt and will be for sale in store later, the 1 prim poppy plant is for - you guessed it - the Poppy Hunt.